I Can’t Eat When I Wake Up! And that’s exactly why you should never wait until you’re hungry to eat. Heck, most folks aren’t even hungry when they wake up in the morning even though it’s been 8, 10 or 12 hours since they ate dinner the night before. They slug down a jumbo sized coffee. Then by the time noon rolls around they have a slight hunger sensation so they have a salad with a chicken breast. Followed by a whey shake & handful of almonds in the afternoon. And finally some rice, veggies and tuna for dinner. That’s not enough food to keep a sparrow alive. Then by 9pm it hits you. Where was this hunger when you needed it earlier in the day? Why did it wait until an hour before bed to pop up? you just couldn’t feel it. Your hunger is regulated by your blood sugar levels. Because you’ve blunted the hunger feed-back loop from the brain to the stomach by chronically avoiding water and healthy food when you roll out of bed. And all that coffee you can’t seem to live without only exacerbated the problem by hoodwinking your brain into thinking you actually had eaten a fuel source (healthy food) instead of the stimulation from the caffeine. You’ve successfully slowed your metabolism down to a snails pace. 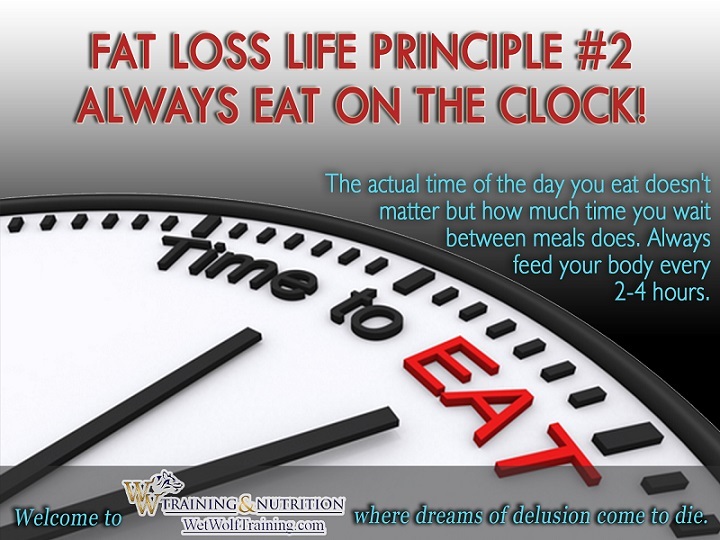 Eat on the clock every 2-4 hours. Leave a comment below if this is slowly starting to make sense. That is my exact diet. !!!! Coffee…..salad for lunch…quinoa chicken and vegetables for dinner then eat the whole house after 9pm. 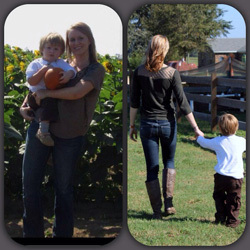 When I lost 103lbs. I ate breakfast.had Snacks.such as melon,cucumbers, almonds, basicly I had to eat to lose weight. I went back to my old ways .gained about 9 pounds. I need to lose 60 more for skin removal…full body tuck.Im looking forward to your program…Zest Wishes. You will do very well once you have something customized just for you. Expect to have the best year of your life. You definitely have the metabolism of a snail. First thing you need is to put the precise meals into your mouth. When you do that your metabolism will blast off and the inches and weight will drop off.